I hope you all had a good weekend like I did at the first weekend of Coachella. Now it’s time to go back to trading. Here’s my take on the forex market for this coming week. With only very few top-tier data released, last week was pretty subdued compared to the week prior. There wasn’t a single event that had a lasting effect on the currencies. Heck, even the FOMC meeting minutes provided the markets with very little fanfare. Most market junkies simply disregarded the Fed’s slightly optimistic tone reflected in the report because the meeting happened before policymakers saw the horrendous NFP report for March. We did see a bit of volatility on dollar pairs when the U.S. retail sales report was released towards the latter part of the week though. Unfortunately for the dollar, the negative reading didn’t give it any boost against its European counterparts and the yen. In the next few days, only the CPI, Beige Book, and Philly Fed manufacturing reports will be released from the U.S. Given that, we’ll probably see the majors trade according to their respective country-specific events. For instance, the pound’s price action will probably be dictated by the CPI, BOE inflation letter, jobs report, MPC meeting minutes, and U.K. retail sales reports. Meanwhile, the euro’s fate would most likely depend on ECB President Draghi’s speech and the German ZEW report. I think we’ll see a lot of volatility on Cable this coming week given that we have a handful of reports due from the U.K. I wanna take advantage of this but I don’t want to stick to a bias prior to the release of the reports. I’ll be keeping a close eye on the 1.5250 minor psychological handle where the pair previously encountered resistance. The level also looks like it coincides nicely with the 200 SMA and the 38.2% Fib. Reversal candles around the area could convince me to go long while a strong break below could get me to jump in on a short. 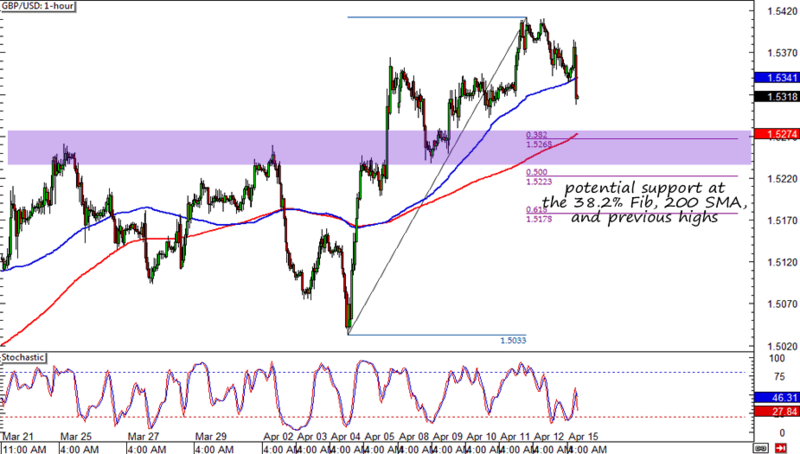 As for USD/CHF, I’m technically slightly bearish. As you can see, a descending channel has formed, and price is both below the 100 and 200 SMAs. 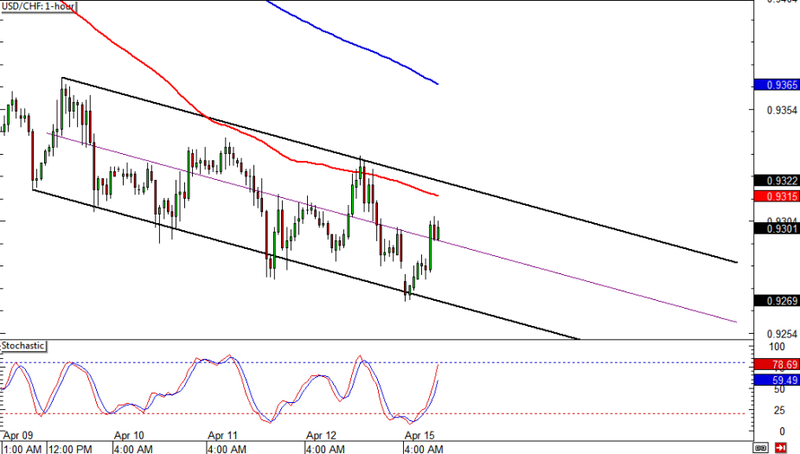 I’m thinking of jumping once price touches the upper boundary of the channel and the 100 SMA.